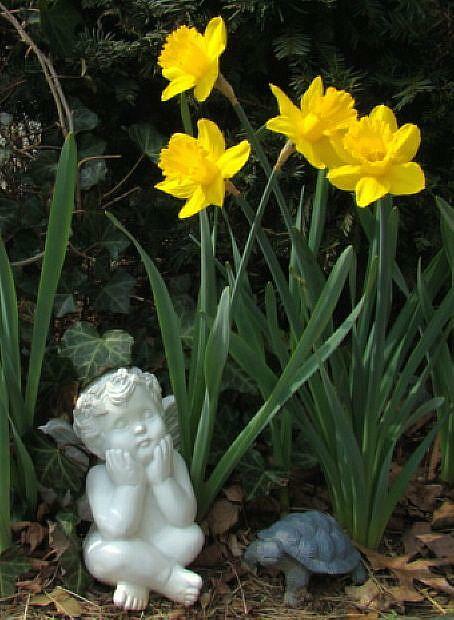 This is my garden angel... just waiting for the warm sunshine of Spring and all of the beauty that it brings. Several weeks ago, everything was buried under 2 feet of snow. Now, the daffodils stand tall and regal.